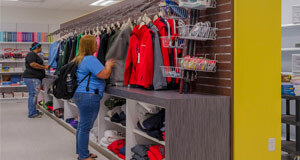 Textbooks, supplies, clothing and other fun gear can be purchased at the bookstores located at Southern State’s Central and Brown County campuses. Here you will find information and resources regarding textbooks in the bookstore. View the textbooks available in the bookstores for the upcoming Spring semester. View the textbooks available in the bookstores for the upcoming Summer semester. This guide includes information on ordering textbooks online. The Bookstore accepts the following forms of payment: cash, check (with a valid Driver’s license), Visa, MasterCard, Discover, American Express, and Financial Aid. When purchasing textbooks, all students must present a copy of their class schedule to verify enrollment along with a valid photo ID. Bookstore charges for all forms of Financial Aid will only be accepted for the first three weeks of each semester. All returns must be in original condition and must be accompanied by the original receipt. Textbooks purchased prior to the second Friday of the semester must be returned to the bookstore in original purchase condition along with the receipt by the second Friday of the semester. Textbooks purchased after the second Friday but prior to the last week of the semester (not finals week) must be returned to the bookstore in original purchase condition along with the receipt within 7 days of purchase. Textbooks purchased the last week of the semester or finals week cannot be returned. Supplies maybe returned in original condition along with a receipt within 30 days of purchase. Clothes maybe returned in original condition with tags still attached along with receipt within 30 days of purchase. Clearance and Computer sales are final no returns or exchanges. 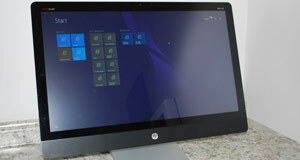 Here you will find information on the computer hardware and software for sale in the bookstore. 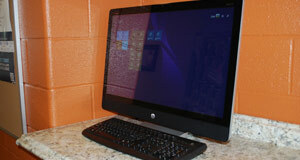 Laptops are available for sale in the Bookstore, limit of one per student on financial aid per academic year. To charge an electronic device to financial aid an approved Bookstore Voucher must be obtained from the Financial Aid Office. 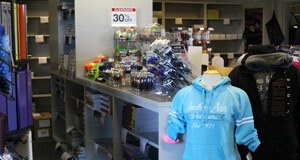 Also you can view the Bookstore's Technology Partner Sites online which provide discounted prices for college students. Visit the Online Bookstore's Technology page to view the available technology and software. You may want to consider purchasing Microsoft Office 365 from the Bookstore exclusively for higher education students and faculty. This package includes the latest versions of all the best in class Office applications including Word, Excel, PowerPoint, Access, Outlook, Publisher, OneNote, and ongoing access to updates. Cap, gown and tassels for graduation can be ordered at any SSCC Bookstore. Orders must be placed no later than January 25 to be applied to financial aid. All orders need to be placed no later than March 2. No money will be taken at the time of order. The Student Textbook Exchange allows students to buy and sell used textbooks with other Southern State students. Note: Southern State is not responsible for any transactions that occur via the Student Textbook Exchange.